7.1" x 9.8" stitched on 14 count. 5.6" x 7.6" stitched on 18 count. 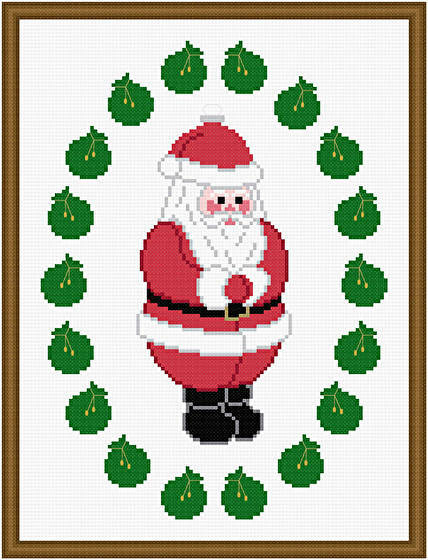 The Big Guy - Santa Ornament cross stitch pattern... The jolly old man in the red suit as an ornament is stitched with DMC satin floss. An oval border of green bags tied with gold surround the ornament. Whole stitches are used except for the hanging loop.